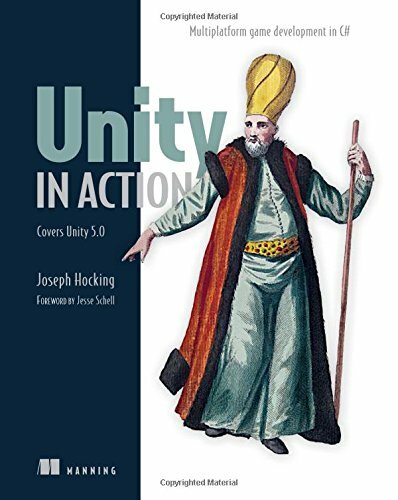 Unity in Action teaches you how to write and deploy games. You'll master the Unity toolset from the ground up, adding the skills you need to go from application coder to game developer. Each sample project illuminates specific Unity features and game development strategies. As you read and practice, you'll build up a well-rounded skill set for creating graphically driven 2D and 3D game applications. You'll need to know how to program, in C# or a similar OO language. No previous Unity experience or game development knowledge is assumed. Joe Hocking is a software engineer specializing in interactive media development. He works for Synapse Games and teaches classes in game development at Columbia College Chicago.